It’s getting toward the end of the year, and if your 2011 New Year’s resolution was anything like mine—more day drinking—then you’re probably realizing right about now that your best intentions quietly slipped away sometime in … well, let’s face it, early January. Damn work. But unlike with all your other failed resolutions, there’s still time for this one before the clock strikes 2012. First of all, quit your whining. Second, I have a solution to all of these problems and more, because you and I are getting ready to make infused liquor as holiday gifts for all your friends and (selected) family. 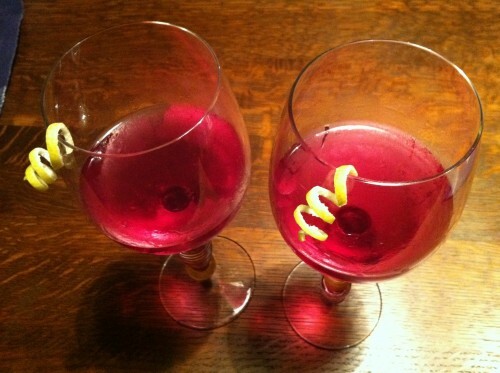 Infused liquor is delicious, quick and easy and fun to make, and is appreciated both at holiday parties and as gifts. And you’re pretty much forced to taste it as it infuses! So let’s Martha Stewart it up and make some homemade gifts, shall we?